The first quarter moon of October 3rd delivers a precise challenge of manifestation. What is it you need to create this month? Be clear and take decisive action. With the Sun in Libra and the Moon in Capricorn, both cardinal or action oriented signs, the best plan of action is to get a shovel and start digging. Remember that many diamonds lie still unearthed, awaiting discovery. Tuesday the 4th is a triple threat when the Capricorn moon squares, or challenges Mercury, Saturn, and Venus. Fortune favors the bold. Thursday the 6th, Mercury and Saturn join hands in Libra. Think of the word ‘commitment’, and think about how it best applies to your current situation. Friday the 7th, the late Aquarius moon trines Venus and conjuncts Neptune in the early afternoon, followed by a gracious Venus trine Neptune. Considering that Friday is also a day ruled by Venus, and that the Pisces moon harmonizes with both Venus and Neptune, this is an amazing day for serendipity, and I predict that some bright lights will find lasting love this evening. Venus leaves Libra, the sign of her rulership, and enters Scorpio on Saturday the 8th. The Pisces moon is void of course from 10 AM (Pacific Time) Saturday until early Monday! So, if you didn’t meet Mr. or Ms. Wonderful on Friday, it probably won’t’ happen Saturday or Sunday. Never fear – the Pisces moon loves visiting museums and watching musical performances. This is a fabulous weekend to just chill. Monday the 10th comes on like a tiger; start your week right by getting into a flow of productivity and be proactive. This begins the peak of Full Moon energy, which is exact at 7 PM Tuesday the 11th. 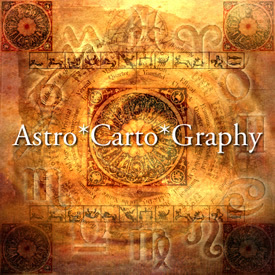 The Sabian Symbol message for this 19 degree Aries Moon is: ‘a Magic Carpet.’ How fitting! Although Aries is an intensely personal sign, the quest here is to understand that much of what is happening now is very impersonal. It’s not really about YOU; it’s about the evolution of our earth and the Universe. Thursday the 13th is another aspect packed day! Venus sextile Pluto in the early hours sets the tone for meaningful communication, and the Sun conjunct Saturn seals the deal. Also on this day, Mercury enters Scorpio, adding intensity to your speech. Avoid arguments now, because they can quickly turn for the worse, and the Sun/Saturn aspect insures longevity to any discord initiated today. If you play your cards right, Venus opposite Jupiter on Friday the 14th will deliver a gift, but you have to participate in the outcome, not just show up and hope to collect. The Taurus moon enhances giving, and adds serenity to a peaceful aspect. The Full Moon arrives in splendor with a clear trine of Mercury and Pluto late in the evening. You may see and hear things that are dramatic, but, know that clarity and deep truths are the key phrases here, and trust your intuition. The real question here is: are you willing to cut loose of those old habits, because, the Universe is calling you to do so. Let it GO! The moon opposite Venus on Monday the 12th suggests that you may have to release some of your cash in order to achieve this new level of freedom. Just move through this energy quickly, because the energy of Aries quickly aligns with your new vision. The Aries moon extends and energizes the peak energy of the Full Moon; maintain your momentum throughout the week. Wednesday the 14th, Mercury trine Jupiter again presents opportunities for those who are ready and willing to take a chance on their dream. Venus enters one of her favorite signs, Libra in the evening. Elegant dinners and beautiful clothing are all emphasized as Venus travels through her domicile of planetary rulership. And, although Venus is happy in Libra, she is NOT lazy; rather, this is an excellent time to cultivate both personal and professional relationships. Thursday the 15th, the moon enters Taurus and perfect timing to manifest your full moon intention. Pluto stations into direct motion on Friday the 16th which further clears the way for your true freedom and soul growth. As Venus opposes Uranus on Saturday the 17th, we can further gain perspective and objectivity. This planetary duo is notorious for incomprehensible romantic attractions, also. Unfortunately, this is sometimes a recipe for disaster! Enjoy, indulge, even revel, but, don’t bank you life on this interlude; especially because Venus squares Pluto the very next day, on Sunday the 18th. With this aspect, the Love Goddess has to pay her dues through jealousy and confrontation. 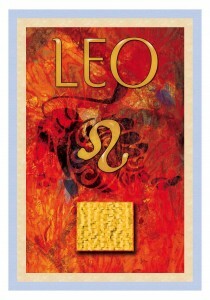 Mars entering Leo on this day also heats up the ego, and everybody wants to marvel at the lions’ roar, not fear it. Finally, with Mars in Leo and Venus in Libra, we have a sextile aspect of opportunity and both of these personal planets are lively and in their strengths. The last quarter moon on Tuesday the 20th provokes our thoughts and demands balance. We have mixed feelings about recent developments; however, know that this is a time of protection and renewal. Friday the 23rd is our sacred day of the Autumnal Equinox. Now, light and color come into balance as do the circumstances of life. Since its Friday, take time in the afternoon or evening to honor the day as a time of harvest and gratitude for all that this magnificent earth provides us. Welcome the Libran New Moon of September 27th. More to come as we next explore the world of Libra: Balance, Elegance, Decision making, Equality, and Justice. The Scorpio moon is often considered a time of intensity, but, following on the heels of the late August Pluto/Uranus aspects which were triggered by the moon’s passage through Libra, Scorpio becomes just normal. We can enjoy the Virgo energy as a respite before the Libra New Moon of September 27th again triggers the tension of the outer planets. Keeping this in mind, September is diverse, and filled with the best that Virgo has to offer. Friday the 2nd delivers a fabulous Sun trine Jupiter along with favorable lunar aspects. The first Friday of September is a great day for social networking, the old fashioned kind, where people actually meet face to face. Long lasting relationships are formed, and mutually beneficial deals are negotiated over a mint julep. Ask for the moon today, you just might get it. But, seal the deal on Friday, because Saturday, someone might change their mind! As the moon approaches first quarter, she moves into stressful aspect to Mercury, Neptune, and even Venus by late Sunday. Your strong suit, however, is Saturn; if you are willing to commit, any doubt can be worked through. Monday the 5th is an easy social day with perfect aspects for a holiday; Moon trine Mercury and sextile Neptune. On this day, emotional tension is low, and a desire for intimacy is high. Tuesday the 6th is another take action day – with the Capricorn moon completing a grand trine to Jupiter and the Sun, this is your strongest day to reach out again and reconfirm any existing doubt. Mercury enters Virgo on Thursday the 8th; suddenly, the skies clear, and answers come without any doubt. Friday the 9th is an excellent day to sign contracts as the Aquarius moon forms a trine to Saturn. Saturday the 10th is strictly for play as Venus and Mars flirt in the late evening. It’s also a great day for shopping – you’ll find exactly what you want. Sunday the 11th presents an interesting Mercury trine Pluto. Although it’s a weekend day, this planetary aspect is great for getting your point across. This is also an aspect of depth and sincerity, and is auspicious for penetrating insights from a spiritual teacher. It’s the perfect evening for a Full Moon gathering. Since the actual time of Full Moon is in the early hours of Monday morning, Sunday evening is the perfect time to get out and witness the full light of the Pisces moon. We move into August from a framework of irrevocable endings. The month of July ended with a dramatic exit. More than a waning moon, the last days of July also opened a deep energetic abyss – though this is not necessarily a negative thing. Rather, the dark waning void of course Cancer moon of Friday the 29th closed the month with the presentation of a space, and place to leave the past behind. 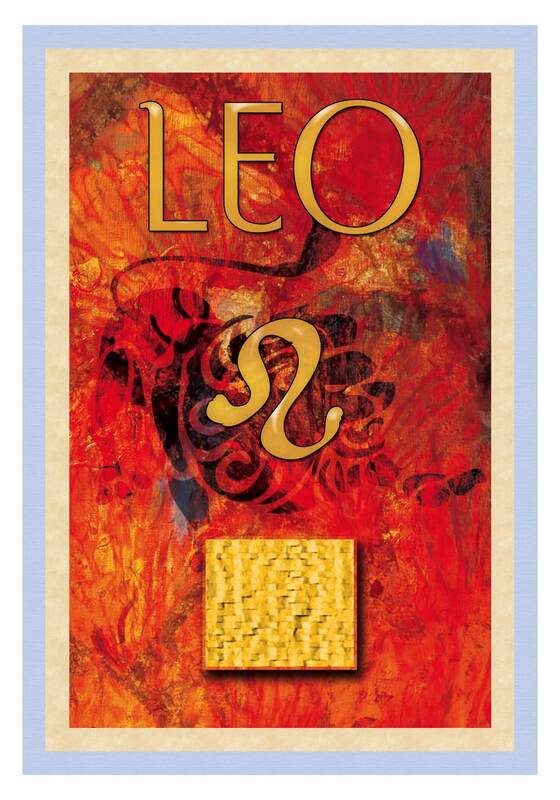 And, reliably, the Leo new moon of July 30th shifts us into a new space of Leo light; the shining sun, theatre, self expression, and bravado. Like compatible divas, or BFF’s, the Sun and Venus in Leo, heat up the stage of bright new beginnings; and so we carry on. Some may view the action of Mercury retrograde from August 2 – the 26 as a negative; others see it as the perfect time to enjoy the fruits of the season. It’s always nice to have things peaceful and quiet, but, as I look into the Astro*Time line, I see that Mars will be stirring some action on the world stage. Note that the outer planets Uranus, Neptune, and Pluto are all retrograde also for the entire month of August. This presents us with a time for karmic mop up duty; what do you need to tend to? Now is a precious time to mend fences such as faltering relationships, family ties, or your personal economic situation. Uranus in stressful aspect to Pluto explodes on the world stage as monumental social and economic pressures; however, you must trust that the answer lies in purifying and strengthening your personal energies. Remember this; you CAN do it, you DO have the ability, and you ARE the solution. Pressure is the forge that creates the matrix of new tools and answers to old problems. Trust that you are divinely guided and protected. The outer world seems to present a state of chaos, but if you calm down, you will find a very still, peaceful, and powerful place within. Monday the 1st is an excellent day to take decisive action. The Virgo moon sharpens your intellect as it forms favorable trines to both Pluto and Jupiter. Don’t begrudge the fates of the upcoming Mercury retrograde and lose a fabulous day to get things done. Even the Sun square Jupiter in the AM adds dynamic energy to Monday the 1st. Get things lined up, because – Tuesday delivers (drum roll) the dreaded Mercury Retrograde – August 2 – 26. The secret here is: it’s not so bad if you understand it. The problem with this one is that it stations in the 1st degree of Virgo, and then travels back into Leo. Translation: you may feel overlooked. Best secret strategy: use this time to make yourself look even better than you did before. Also, this is a great time to shore up an old skill, or learn a new specialty that you have always wanted to explore. Wednesday the 3d is an extremely busy day. The Moon enters Libra in the early AM; Mars enters Cancer, and in the early morning hours also forms a favored trine to Mars. Mars in Cancer is said to favor artists and philosophers. Somehow, there is redemption in the aspects of this day. The Moon square Pluto and conjunct Saturn is a reflection of the universal stress that we are all feeling, and you may have to face something you’d rather not have to deal with; actually, it’s better to address these tough issues earlier rather than later. Saturday the 6th lands sunny side up with a Leo Sun and a Scorpio Moon. The deal here is: if you didn’t face that pressing task earlier in the week, it is going to land again, only this time with a bit more force. Remember that the first quarter moon represents a time of being pushed to take action; and the Scorpio moon adds a little kick in the pants. There is just plain pressure here, and you will have to deal with it. With the Sun, Venus, and Jupiter all in fixed signs, you can get settled into an old rut, or, you can decide to get the train rolling on something new. Tuesday the 9th delivers a stressful dynamic between Mars and Uranus –there may be an act of violence on the world stage. Even the Moon conjunct Pluto in the late evening invites intensity. Wednesday the 10th Mars next opposes Pluto; another aspect of tension. This Mars will inevitably trigger world events. On the personal level, you may hear many fire and ambulance sirens on these days, and take extra care to not incur uninvited wrath such as road rage or some other unintended accident. Better to be an observer than a participant in this department. The Full Moon of August 13th expands the energy of Leo from personal to impersonal. Remember, it does not really about YOU, however, also remember that YOU are the answer. You are a microcosm of a vast, expanding Universe that seems ready to explode. Maintain your state of mind and expression of personal love expanding into universal love. Things quiet down dramatically in the second half of the month. There is an equalization taking place, and each one of us can stabilize and become shining vessels of positive energy. With this Full moon of August, I honor your sacred Light.